Stromberg Carlson Products, Inc. is a third generation company serving the RV aftermarket for over 55 years. 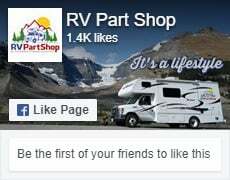 While we are located in Traverse City, MI, our motorhome, trailer and camping products are available nationwide through RV Part Shop! At our facility we talk about ISO-9000, CNC Machinery, Capability Studies, and developing reliable manufacturing systems. But on the road we talk to our customers about their goals and their vision, what lies ahead for them over the next five years. Until we understand what lies ahead for our customers we can not orchestrate our business. Serving your needs is the only way we can achieve success. Then the secret is to never stop chasing the needs of your customers.